Family Midwifery Care is proud to be a teaching practice for learning midwives. 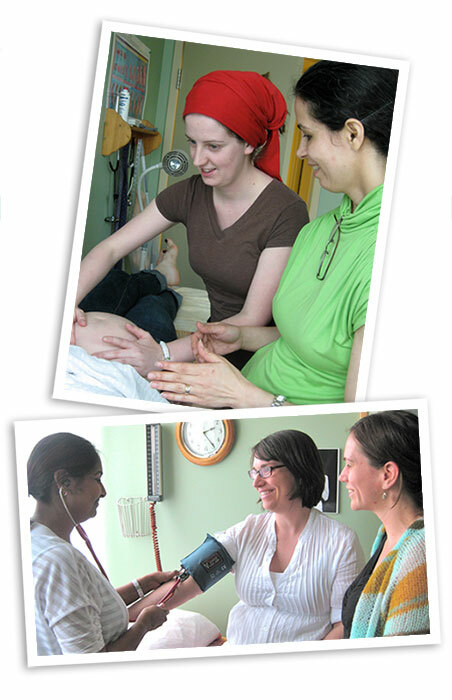 Demand for midwives in Canada is ever-growing and exceeds the number of working midwives. We feel that it is important to train new midwives in a supportive environment, and we hope that you will join us in being a very important part of our growing profession. In Ontario, midwives are trained in a four-year Bachelor of Health Sciences degree program at McMaster University, Ryerson University, or Laurentian University. In their second year of studies, students begin hands-on training while continuing their academic studies. Each year, students increase their skills and assume more of a supervised leadership role as they provide care. Internationally trained midwives also spend time in established practices to become familiar with the Canadian system before they are registered. We hope that you will join us in supporting our students as they learn. So much of becoming a midwife comes from working directly with clients and their babies and we greatly value your participation and feedback. If you have any questions or concerns about how students may be involved in your care, please discuss this with your midwives.